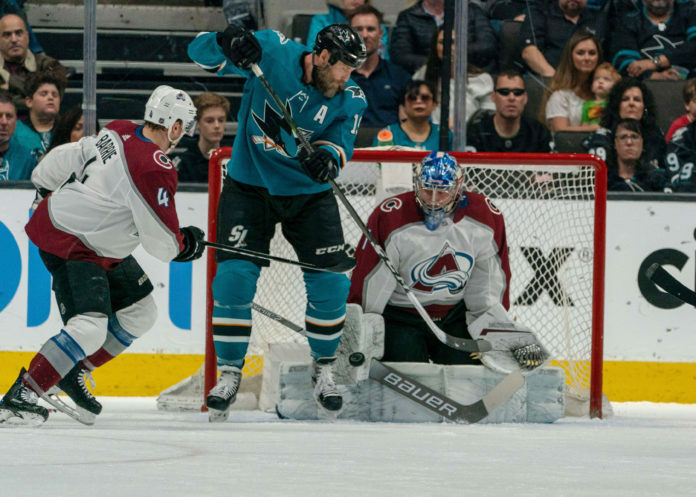 While it wasn’t official by the time the puck dropped in San Jose, it was clear that the final game of the season for the Avalanche wasn’t going to mean much. I’m sure they were okay with it. The Dallas Stars defeated the Minnesota Wild soon after the Avs game in San Jose started, locking in the Avs playoff opponent as the Calgary Flames when their series begins on Thursday. Because of that, this game was more of a tune up than anything. Neither team really played all that physical and there wasn’t a ton of intensity as the Sharks took out the Avs by a score of 5-2. Tyson Jost and Nathan MacKinnon scored the Avs two goals, as they will now set their sights on the Western Conference champs. While there is no set time for game one, the series with the Flames has been confirmed to start on Thursday April 11. Stay tuned to Mile High Sports for more coverage of this series. Nathan MacKinnon tried desperately to top the 100 point barrier for the first time in his career, but was unable to get that final point. He finishes his most productive regular season with 41 goals and 99 points. Semyon Varlamov was very up and down in what could very well be his final start in an Avalanche uniform. Nobody got injured. This is all that really mattered once the Stars took out the Wild. In the postgame scrum, Jared Bednar mentioned that they will have all players available when the series starts. That sure sounds like Mikko Rantanen will be ready. The second season is here. The first round of the NHL playoffs is the best time of the year, and the fun all starts on Wednesday.